Is This An Affair To Remember? The Rom Com. 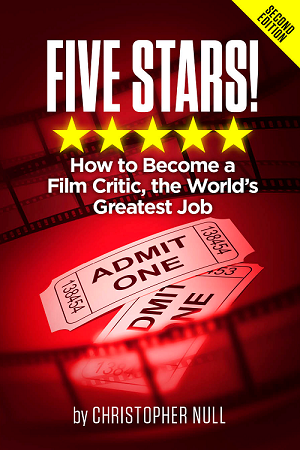 At one time, it was labeled the “Chick Flick,” a movie made specifically for the female demo while avoid all the problems the more paternalistic cinema seems mired in. It was a guaranteed good time for those buy into its fairytale romance realities. And then–something strange happened. Hoping to give every new Hollywood newcomer a shot at stardom, the Sleepless in Seattles of the world were replaced with bad times usually featuring the latest actress du jour (say, Katherine Heigl). Comedian Kumail Nanjiani, who wrote the script with his wife Emily Gordon, basing the story on their courtship, stars as Kumail (naturally). He’s a struggling stand-up in Chicago who drives an Uber to try and make ends meet. 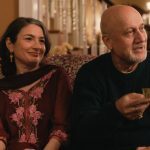 While his Pakistani family hopes he eventually “wises up” and settles down with a Muslim girl of their choice, he ends up dating a woman named Emily (Zoe Kazan, standing in for Ms. Gordon) who heckled him during a show. 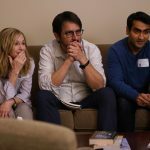 To go any further would ruin many of the wonderful and moving surprises The Big Sick offers. Unlike other Rom Coms, where the narrative seems like a contrivance in order to get the characters to fall in and out of love. everything here feels organic. That’s because The Big Sick is based on the real life relationship between Nanjiani and Gordon. The whole illness angle actually happened and you can feel urgency and the fear. Instead of some scripted drama that feels forced, the events here flow naturally, matching the chemistry the cast brings to the proceedings. The acting here is also excellent, and it’s nice to see Hunter and Romano playing a bit against type (and show a bit of ill-informed prejudice along the way). The Big Sick doesn’t shy away from the intolerance of a 2017 America, but the cluelessness cuts both ways. Kumail’s movie family has a similar bias when it comes to who their son should date, and when put up against the bigotry we see everyday, it gives the film a feeling of being authentic. Instead of avoiding the subject all together, The Big Sick takes it on in a clever and concise way. But don’t think The Big Sick is just a series of social commentaries. Instead, this is a film filled with big laughs. The script is smart, and under the expert production hand of Judd Apatow, the comedy comes through. Director Michael Showalter (They Came Together, Hello My Name Is Doris) may go a bit overboard on the running time (this is another comedy that clocks in at over two hours), but there is rarely a wasted moment here. The Rom Com was clearly in need of rescuing, and thanks to its smarts and serious undercurrent, The Big Sick is a wonderful savior. It’s a fascinating, funny film.